With years of experience Discount Dumpster gives customers first rate service at the best prices. When you need a roll off we are here to help you find the right one for your project. Rent a dumpster in Grandview and with one phone call and our staff member will make your dumpster rental Grandview experience great. Discount Dumpster has a variety of dumpster sizes to choose from to make sure you complete what you need the first time. Choosing the right size container should be easy but it seems daunting at first. By utilizing our dumpster rental sizes page, you can be sure that the dumpster ordered will fit your needs. Still not sure? Give us a ring and we will help you out. The 10-yard dumpster works well for smaller residential projects. This small dumpster is a similar size to a parking space which makes driveway placement easy. 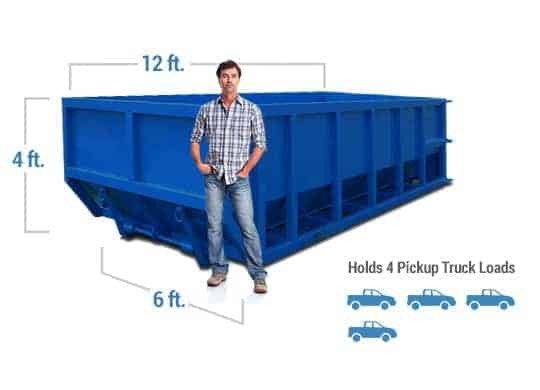 The 15-yard dumpster can be used for clean-up projects of the basement, garage, shed, and yard. Rent a dumpster in Grandview and get started on that clean-up. The 20-yard dumpster is for larger remodels. Updating two rooms or a basement recreation room can start when you rent a dumpster in Grandview. 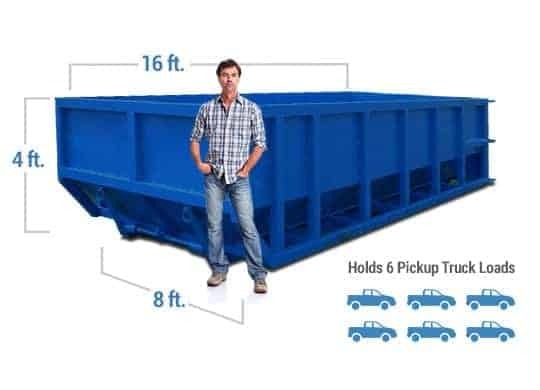 The 30-yard dumpster can meet the needs on a large project. Major home renovations or contractors on a commercial job site would this dumpster rental Grandview. The 40-yard dumpster is our largest dumpster rental Grandview. Use for new construction (residential or commercial), large demolitions, or community clean-ups. When you call Discount Dumpster you will find a hassle-free process of renting a roll off. With years of experience in the trash removal business we have the dumpsters you need. Discount Dumpster delivers a quality product at affordable pricing. Our staff members are knowledgeable and will guide you through the process of getting your dumpster rental Grandview. A trash company that cares! There are multiple reasons to rent a dumpster in Grandview and construction is not the only one. Most people believe dumpsters are for commercial projects but a roll off container can work well for many jobs around the house too. Clearing out the basement and/or garage is a great example. We all have an inner hoarder and a dumpster rental Grandview is the best way to rid all the extra junk which is just getting in the way.